Welcome to another in the series of A Portrait of Thame where this time I had the pleasure of taking some beautiful portraits of Sally, the director of What’s Cooking in Thame High Street. I’ve walked past What’s Cooking many times over the last few months on my visits to the town, but yet I had never actually ventured inside. So, whilst I knew that What’s Cooking, given the name, had something to do with food, I wasn’t entirely sure what, they did. This portrait photography session was going to be a revelation to me. On arrival at What’s Cooking on our pre-arranged day for the photography, I met Sally and had a quick run down of the business and it’s services. What’s Cooking have three sides to their business, an artisan delicatessen, a catering company and a very attractive looking little cafe, which at the time of my visit was very busy. I knew it wouldn’t be possible to convey all three aspects of the business in one photograph so, I chose to focus on representing both the business name and a close up of Sally. 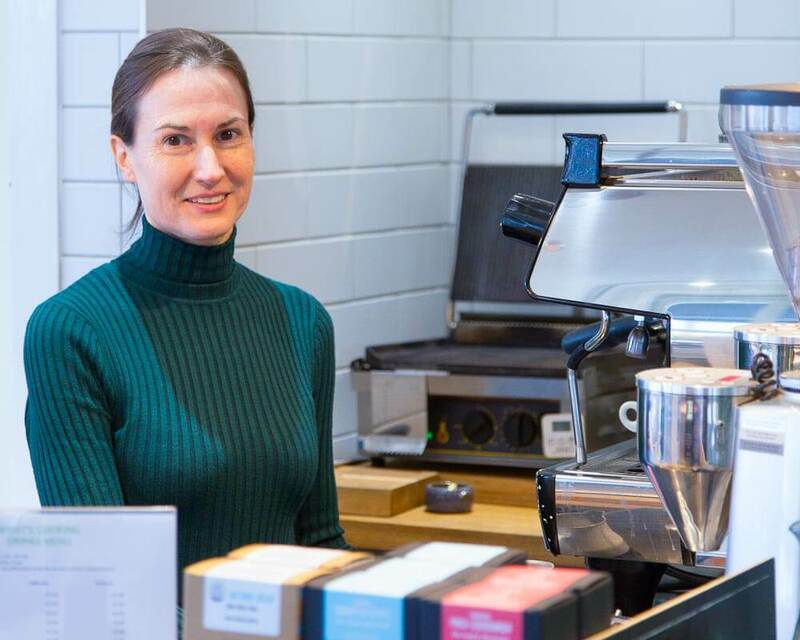 Knowing that I only had two photos in which to get what I needed, I chose firstly to take the close up image of Sally stood at the coffee machine, which is the image you see at the bottom of the article. Some attractive lighting overhead supplemented the 1pm daylight coming in through the huge windows and made the job of lighting the image reasonably easy. Whilst this image shows Sally and gives an idea of the nature of the business, it doesn’t actually portray the company name anywhere. The second image, at the head of this article, was taken outside as I was keen to portray the company name in the image. 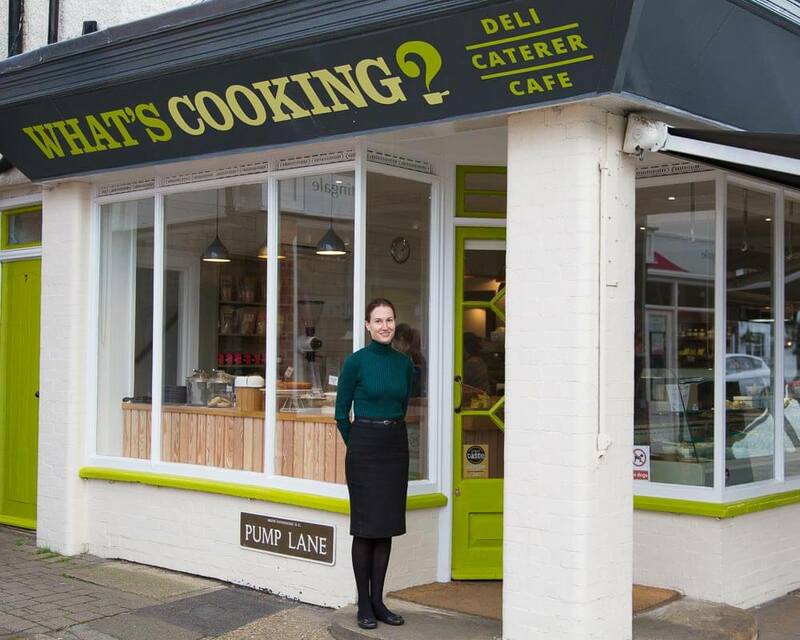 The outside of the building conveniently has the name ‘What’s Cooking’ in big bold green font making it easy to get in the portrait. To achieve this however, it did mean that I had to step out onto the Cornmarket in Thame to allow enough room to get everything in. With both photographic portraits taken, it was time to head back to the studio to edit the images and then get them across to Thame Hub for the publication of their article. Now I know what What’s Cooking do, I shall surely make a return in the not too distant future for lunch at that wonderful looking cafe.